The deadline for placing an advanced catering order is 3 days before your event by 2 pm cst. If you miss this deadline, you may order off the limited selection day of event menu inside your suite. It may be your first time booking a suite or your tenth, but catering is always one of the biggest puzzles to ensuring your suite event is unforgettable. 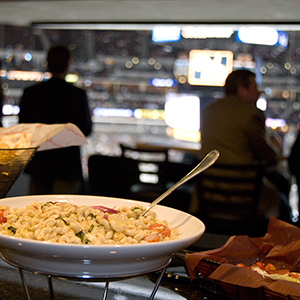 Using our knowledge as suite experts at American Airlines Center, we’ve put together our tips and tricks for planning your AAC Catering. Browse through our list of suite catering tips, recommended ordering details, and download the American Airlines Center catering menu to get started finalizing the details of your event. Ordering catering is a complex and confusing process. To help extend your catering budget, we recommend selecting family style items (such as pulled pork) instead of individual portions (steak). 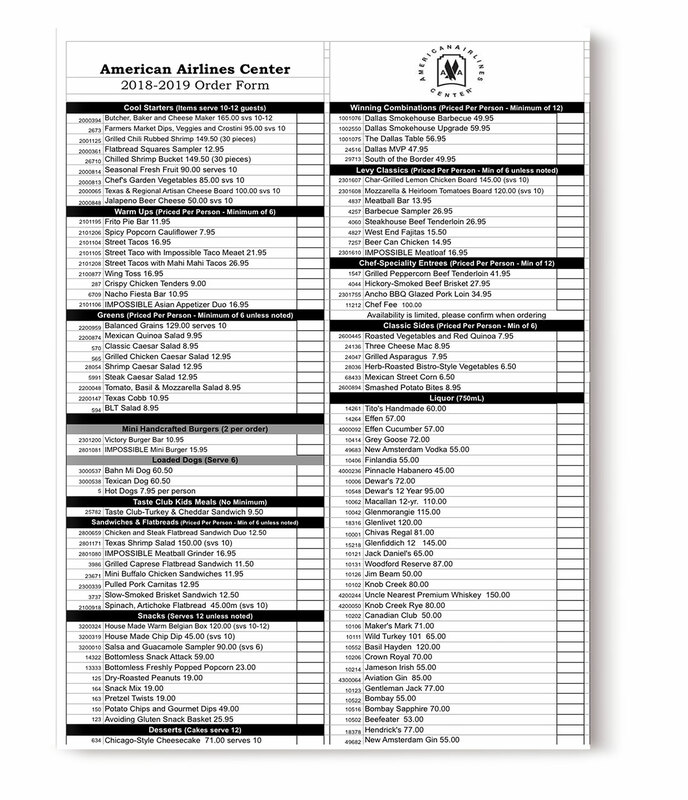 Most catering menus, including those at American Airlines Center, require a minimum order of 6 portions. You do not have to order portion for every guest you are expecting to attend. 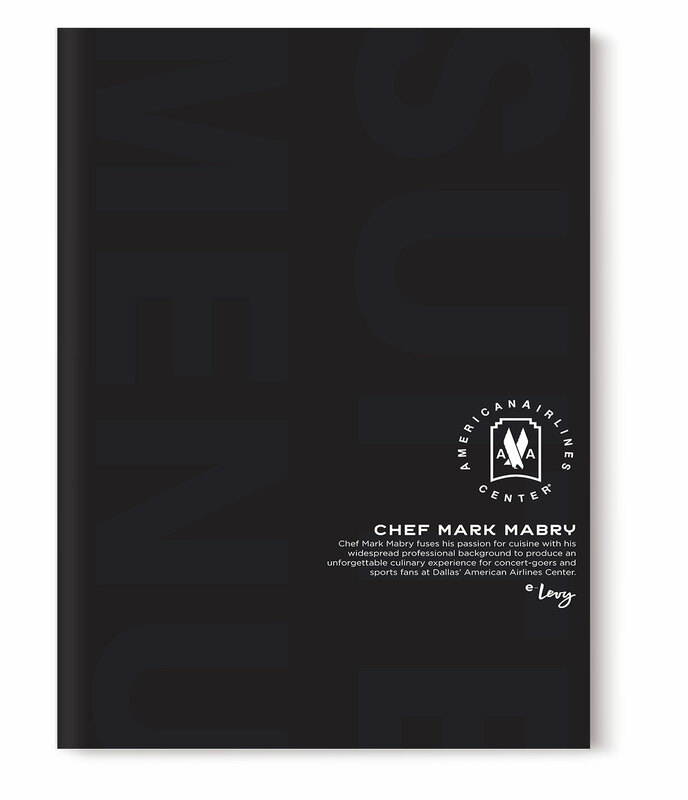 This menu is based off the 2018-2019 American Airlines Center Suite Catering options. Items are subject to availability. Don’t be left in the dark about the complexities of a catering order and end up with a surprisingly expensive bill at the end of the evening. 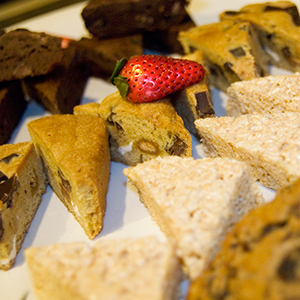 We’ve put together a list of our top Suite Catering Tips for AAC.